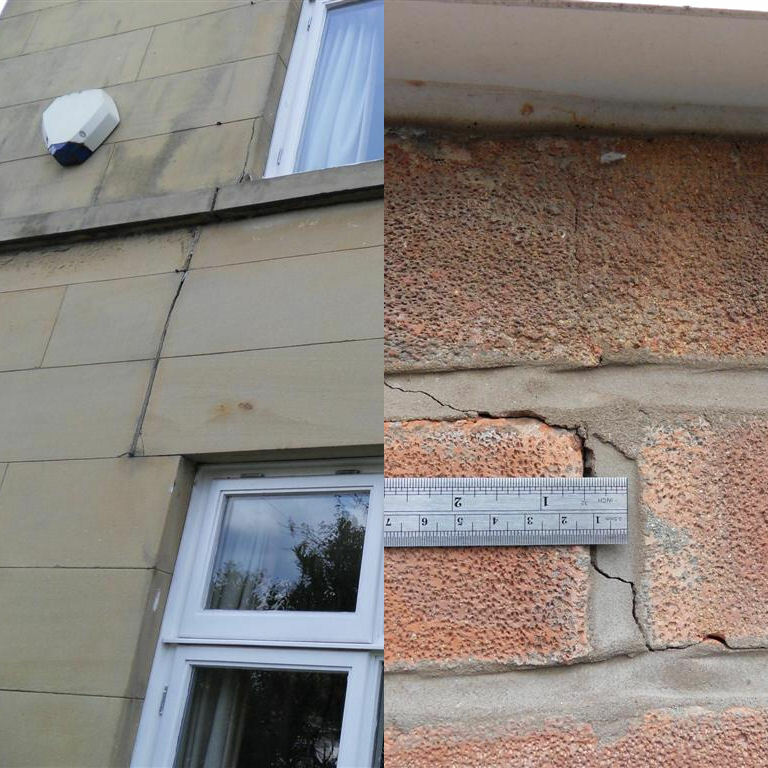 Home » Building Sense News » Building Surveys » Subsidence: why risk it? Amongst other things last week, we surveyed two completely different residential dwellings in the North West region; one 1960’s detached house in south Manchester which had been extended recently and was well presented, and one Grade II listed ashlar stone faced detached house in Wigan, built circa 1800. Two quite different houses, but with one thing in common; both had subsidence which neither the vendors nor our client was aware of prior to our inspection. Both clients are glad they didn’t risk it, and that they instructed Building Sense to complete a Residential Building Survey for them. What we always find strange about the house buying process in the UK is that, as the purchasers, you’re likely to have two ten minutes viewings of the property before making the largest purchase of your life, maybe a third if you’re lucky. Building Sense spent a minimum of four hours on site at each house undertaking a thorough inspection, and then met our clients at the end of our inspection to show them the problems first hand. This helps enormously with explaining and understanding building defects, for both our client and the vendor, making it easier to negotiate on price and immediately opening a dialogue with a view to resolving matters. If you’re buying a house, don’t take the risk of finding problems once it’s too late, call today for a fee quote.